File Photo: Indian Institute of Technology, Kharagpur. 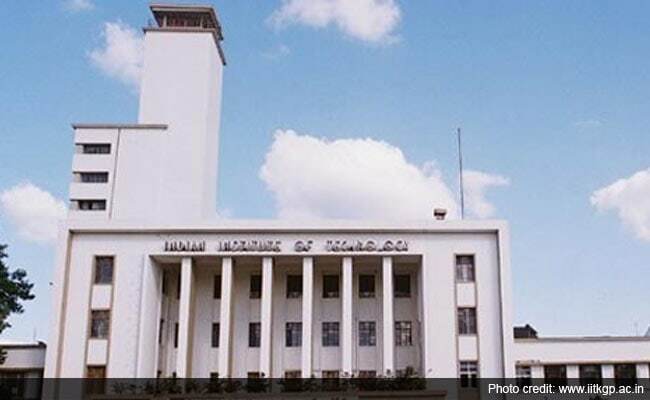 Researchers at the Indian Institute of Technology-Kharagpur have engineered an indigenous, cost-effective kidney dialysis technology. The innovative technology was recently recognised with the National Award, a statement said today. Haemodialysis is administered to patients suffering from various stages of kidney failure. Commonly referred to as "artificial kidney", it is a machine that uses dialysis to remove impurities and waste products from the bloodstream before returning the blood to the patient's body. "Administering haemodialysis is a very expensive affair for an average Indian. Haemodialysis cartridges are not manufactured in India and are imported from Germany, Korea or Japan," said Anirban Roy, a research scholar at the IIT's department of chemical engineering and co-inventor of the technology. The cartridges are formed of 7,000 to 15,000 hollow fibres of 180-220 microns inner diameter and 15-40 micron thickness, and the challenge lies in spinning these clinical grade hollow fibre membranes to the specific dimensions, said Mr Roy. "The present innovation is about a technology (using disposable syringe assemblies) that has been designed to spin such clinical grade fibres in India since the country does not possess the technology to spin hollow fibre membranes of such specifications." "This technology does not use the conventional expensive spinnerets which are employed by the companies abroad," said Mr Roy, adding only four to five companies worldwide enjoy the monopoly in this business and all have their own patented technology. "Due to this, each dialyser costs Rs.1, 000 to Rs.1, 500 and ideally three such dialysers are needed per week for each patient," he said. The estimated manufacturing cost of such a dialyser developed by the IIT-Kharagpur team is expected to be around Rs.200-300, he said. This is a project of national importance and was funded by the Department of Science and Technology, with two Bengaluru-based companies as industrial partners of the technology, said Mr Roy. Animal and clinical trials of the product are awaited, although in-vitro (laboratory) tests have been completed. The product won the runners-up prize at the fifth National Award for Technology Innovation in the category of polymers in public health care on February 21, said Sirshendu De, who is the principal investigator and co-inventor of the technology. He is a Shanti Swaroop Bhatnagar awardee. "This is a flagship project which perfectly fits in with Prime Minister Narendra Modi's slogan of 'Make in India'," said Mr De, professor at the IIT's department of chemical engineering, in a statement. The developed process has been filed for an Indian patent and also for a US patent. The fibres match the clinical specifications of the market leaders, the researchers said. This product, once commercialized, can equip India with the technology not only to sustain itself in the field of dialysis, but also to project itself as a major exporter of such haemodialysers to south-east Asian countries, Africa and South America, said the researchers.